Ludwig was founded in 1909 by William F. Ludwig & Theobald, son of a German immigrant to the United States. William Jr. was started as a professional drummer, playing with circuses and variety shows. He and his brother, Theobald, batteries opened a store in Chicago. They called Ludwig & Ludwiget started with the production of a bass drum pedal. The company contine to produce small scale due to World War II battery. But after the armistice William returns with the idea of making the company a leading manufacturer of batterie.Néanmoins, breakthrough Ludwig actually be February 9, 1964, when the Beatles made their debut on “The Ed Sullivan Show “with the Ludwig logo displayed on the front of the bass drum Ringo Star. The performance was watched by about 73 million people. In 1981, William III sold the company to the Selmer Company (now Conn-Selmer). Selmer closed the plant Damen Avenue in the years that followed and moved to North Carolina production. Ludwig offers a wide range of batteries, cash-clear and percussion instruments for all styles of music and is a reference that appeals to many drummers worldwide. 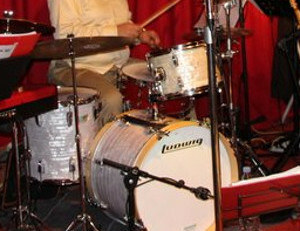 Carl Bouchaux chose to play on Ludwig drums, which he is a partner. 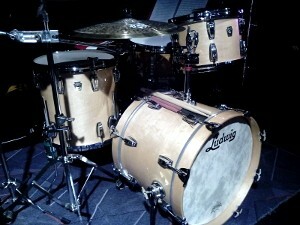 It uses different kits, depending on the project and gladly advises French drummers who want to know more about Ludwig. Looking for a kit of this size? Discover Breakbeats Ludwig kits. Fancy a Jazz kit? 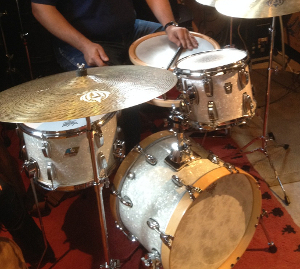 Try kits Ludwig Club Date or Ludwig Classic Mapple. Want to find the “sound” vintage Ludwig? Discover the Ludwig Legacy kits. 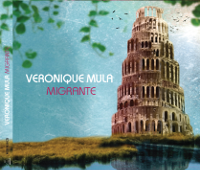 Click on the image to listen to extracts or order the album.